Liczba stron: 624 Jest to ujednolicona liczba stron, która ułatwi Ci porównanie długości książek. Każda strona Legimi to 200 słów. Yet the stress on endurance, self-restraint and power of the will to withstand calamity can often seem coldhearted. It is Epictetus, a lame former slave exiled by the Emperor Domitian, who offers by far the most positive and humane version of stoic ideals. 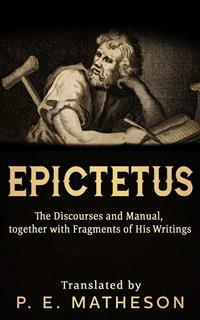 «The Discourses», assembled by his pupil Arrian, catch him in action, publicly setting out his views on ethical dilemmas.Committed to communicating with the widest possible audience, Epictetus uses humor, imagery conversations and homely comparisons to put his message across. The result is a perfect universal justice, calm indifference in the face of pain – which have proved so influential throughout Western history. I did not write down the Lectures of Epictetus in the form of a book, as one might do with such utterances as his, nor did I of my own will give them to the public, for, as I say, I did not write them down for publication. What I tried to do was to make notes of all that I used to hear him say word for word in the very language he used, so far as possible, and to preserve his sayings as reminders for myself hereafter of the nature of his mind and the directness of his speech. It follows then, as is natural, that the words are just such as a man might use to another on the impulse of the moment, not such as he would write for formal publication, with a view to a circle of readers hereafter. Moreover, such as they are, somehow or other they were put abroad among men without my consent and without my knowledge. Well, to me it is no great matter, if I appear in the world's eyes incapable of writing a book; and to Epictetus it will not matter in the least if men despise his lectures, for in the very act of giving them he made it plain that his one and only desire was to impel the minds of his hearers towards the noblest objects. If then these lectures should accomplish this result and no other, I take it they would be just what the lectures of philosophers ought to be; and if they fail, yet I would have those who read them understand that when Epictetus himself was speaking, his hearers were forced to feel just what he would have them feel. If the words read by themselves do not achieve this result, it may be that I am to blame, but it may be also that it could not be otherwise. Farewell. Of our faculties in general you will find that none can take cognizance of itself; none therefore has the power to approve or disapprove its own action. Our grammatical faculty for instance: how far can that take cognizance? Only so far as to distinguish expression. Our musical faculty? Only so far as to distinguish tune. Does any one of these then take cognizance of itself? By no means. If you are writing to your friend, when you want to know what words to write grammar will tell you; but whether you should write to your friend or should not write grammar will not tell you. And in the same way music will tell you about tunes, but whether at this precise moment you should sing and play the lyre or should not sing nor play the lyre it will not tell you. What will tell you then? That faculty which takes cognizance of itself and of all things else. What is this? The reasoning faculty: for this alone of the faculties we have received is created to comprehend even its own nature; that is to say, what it is and what it can do, and with what precious qualities it has come to us, and to comprehend all other faculties as well. For what else is it that tells us that gold is a goodly thing? For the gold does not tell us. Clearly it is the faculty which can deal with our impressions.1 What else is it which distinguishes the faculties of music, grammar, and the rest, testing their uses and pointing out the due seasons for their use? It is reason and nothing else. 1 This technical Stoic word, as Matheson points out, includes 'the power of presenting an image to the mind's eye' and 'the image so presented'. It is almost the equivalent of 'the data of consciousness'. 2 These words frequently recur in Epictetus. But, as things are, though we have it in our power to pay heed to one thing and to devote ourselves to one, yet instead of this we prefer to pay heed to many things and to be bound fast to many—our body, our property, brother and friend, child and slave. Inasmuch then as we are bound fast to many things, we are burdened by them and dragged down. That is why, if the weather is bad for sailing, we sit distracted and keep looking continually and ask, 'What wind is blowing?' 'The north wind.' What have we to do with that? 'When will the west wind blow?' When it so chooses, good sir, or when Aeolus chooses. For God made Aeolus the master of the winds, not you. What follows? We must make the best of those things that are in our power, and take the rest as nature gives it. What do you mean by 'nature'? I mean, God's will. I must die. But must I die groaning? I must be imprisoned. But must I whine as well? I must suffer exile. Can any one then hinder me from going with a smile, and a good courage, and at peace? What say you, fellow? Chain me? My leg you will chain—yes, but my will—no, not even Zeus can conquer that. Here you see the result of training as training should be, of the will to get and will to avoid, so disciplined that nothing can hinder or frustrate them. I must die, must I? If at once, then I am dying: if soon, I dine now, as it is time for dinner, and afterwards when the time comes I will die. And die how? As befits one who gives back what is not his own. But rational and irrational mean different things to different persons, just as good and evil, expedient and inexpedient, are different for different persons. That is the chief reason why we need education, that we may learn so to adjust our preconceptions 1 of rational and irrational to particular conditions as to be in harmony with nature. But to decide what is rational and irrational we not only estimate the value of things external, but each one of us considers what is in keeping with his character. For one man thinks it reasonable to perform the meanest office2 for another; for he looks merely to this, that if he refuses he will be beaten and get no food, while if he does it nothing hard or painful will be done to him. To another it seems intolerable not only to do this service himself, but even to suffer another to do it. If then you ask me, 'Am I to do it or not?' I shall say to you, to get food is worth more than to go without it, and to be flogged is worth less than to escape flogging: therefore, if you measure your affairs by this standard, go and do it. 1 Primary notions. 'They are certain general terms used commonly by men (such as good, happiness, justice), and their proper application not being reasoned out by the individual before he uses them, they are in a sense anticipations of reasoned knowledge.' (Matheson) 2 The Greek says, 'to hold the pot'. forgotten his own character. What is it you ask me? 'Is death or life to be preferred?' I say 'life'. 'Pain or pleasure?' I say 'pleasure'. Go then and act your tragedy, but I will not do so. You ask me, 'Why?' I answer, 'Because you count yourself to be but an ordinary thread in the tunic.' What follows then? You ought to think how you can be like other men, just as one thread does not wish to have something special to distinguish it from the rest: but I want to be the purple, that touch of brilliance which gives distinction and beauty to the rest. Why then do you say to me, 'Make yourself like unto the many?' If I do that, I shall no longer be the purple. What good, you ask, did Priscus do, being but one? What good does the purple do to the garment? Just this, that being purple it gives distinction and stands out as a fine example to the rest. Another man, had Caesar in such circumstances told him not to come into the Senate, would have said, 'Thank you for sparing me.' Such a one he would never have forbidden to come in; he would know that he would either sit silent like a pipkin or if he spoke would say what he knew Caesar wished and pile on more besides. This spirit too was shown by a certain athlete, who was threatened with death if he did not sacrifice his virility. When his brother, who was a philosopher, came to him and said, 'Brother, what will you do? Are we to let the knife do its work and still go into the gymnasium?' he would not consent, but endured to meet his death. (Here some one asked, 'How did he do so, as an athlete or as a philosopher?') 3 He did so as a man, and a man who had wrestled at Olympia and been proclaimed victor, one who had passed his days in such a place as that, not one who anoints himself at Bato's. Another man would have consented to have even his head cut off, if he could have lived without it. 3 The interruption here of one of the listeners is perfectly typical of the informal character of the Discourses. How does the bull, he answered, at the lion's approach, alone discover what powers he is endowed with, when he stands forth to protect the whole herd? It is plain that with the possession of his power the consciousness of it also is given him. So each of us, who has power of this sort, will not be unaware of its possession. Like the bull, the man of noble nature does not become noble of a sudden; he must train through the winter, and make ready, and not lightly leap to meet things that concern him not. 'If then this is our true nature, why do not all men, or many, show it?' What? Do all horses turn out swift, are all dogs good at the scent? If a man could only take to heart this judgement, as he ought, that we are all, before anything else, children of God and that God is the Father of gods and men, I think that he will never harbour a mean or ignoble thought about himself. Why, if Caesar adopts you, your arrogance will be past all bearing; but if you realize that you are a son of Zeus, will you feel no elation? We ought to be proud, but we are not; as there are these two elements mingled in our birth, the body which we share with the animals, and the reason and mind which we share with the gods, men in general decline upon that wretched and dead kinship with the beasts, and but few claim that which is divine and blessed. And so, since every one, whoever he be, must needs deal with each person or thing according to the opinion that he holds about them, those few who think that they have been born to be faithful, born to be honourable, born to deal with their impressions without error, have no mean or ignoble thought about themselves. But the thoughts of most men are just the opposite to this. 'What am I? A miserable creature of a man'; and 'my wretched rags of flesh'. Wretched indeed, but you have too something better than your 'rags of flesh'. Why then do you discard the better and cling to your rags? By reason of this lower kinship some of us fall away and become like wolves, faithless and treacherous and mischievous, others like lions, savage and brutal and untameable, but the greater part of us become foxes and the most god-forsaken creatures in the animal world. For a foul-mouthed and wicked man is no better than a fox or the meanest and most miserable of creatures. Look to it then and beware lest you turn out to be one of these god-forsaken creatures. How shall we describe 'progress'? 1 It is the state of him who having learnt from philosophers that man wills to get what is good, and wills to avoid what is evil, and having learnt also that peace and calm come to a man only if he fail not to get what he wills, and if he fall not into that which he avoids, has put away from him altogether the will to get anything and has postponed it to the future, and wills to avoid only such things as are dependent on his will. For if he tries to avoid anything beyond his will, he knows that, for all his avoidance, he will one day come to grief and be unhappy. And if this is the promise that virtue makes to us—the promise to produce happiness and peace and calm, surely progress toward virtue is progress toward each of these. For to whatever end the perfection of a thing leads, to that end is progress an approach. How is it then that, though we admit that this is the nature of virtue, we search elsewhere for progress and display it elsewhere? Who then makes progress? Is it he who has read many treatises of Chrysippus? Can this be virtue—to have understood Chrysippus? For if this be so, we must admit that progress is nothing but to understand a lot of sayings of Chrysippus. But, the fact is, we admit that virtue tends to one result, and yet declare that progress, the approach to virtue, tends to another. Bravo, by the gods, you make progress, fellow. Progress indeed! Why do you mock him? Why do you draw him away from the sense of his own shortcomings? Will you not show him what virtue really means, that he may learn where to seek for progress? Miserable man, there is only one place to seek it—where your work lies. Where does it lie? It lies in the region of will; that you may not fail to get what you will to get, nor fall into what you will to avoid; it lies in avoiding error in the region of impulse, impulse to act and impulse not to act: it lies in assent and the withholding of assent, that in these you may never be deceived.2 But the first department I have named comes first and is most necessary. If you merely tremble and mourn and seek to escape misfortune, progress is of course impossible. Show me your progress then in this field. You act as though when I was talking to an athlete and said, 'Show me your shoulders', he answered, 'Look at my leapingweights.' That is for you and your leaping-weights to look to; I want to see the final result of your leaping-weights. 1 This is a technical Stoic term. Slave, that is not what I am looking for—I want to know what impulses you have, for action and against it, to know what you will to get and will to avoid; how you plan and purpose and prepare—whether in harmony with nature, or out of harmony with nature. Show me that you act in harmony with nature, and I will tell you that you are making progress; act out of harmony with nature, and I bid you begone and write books on such things and not merely expound them. What good, I ask, will they do you? Do not you know that the whole book is worth but five pence? Do you think then that the man who expounds it is worth more? Therefore never seek your work in one place and progress in another. If any one of you, dismissing things without, has brought his mind to bear on his own will, to work out its full development, that he may bring it into perfect harmony with nature—lofty, free, unhindered, untrammelled, trustworthy, self-respecting; if he has learnt that he that wills to get or to avoid what is not in his power cannot be trustworthy nor free, but must needs himself change as they change, fitful as the winds, and must needs have made himself subservient to others, who can procure or hinder such things; and if, in a word, when he rises in the morning he guards and keeps these principles, washes as one that is trustworthy, eats as one that is selfrespecting, and on each occasion that arises labours to achieve his main tasks, even as the runner makes running his one aim and the voice-trainer his training—he is the man who is indeed in the path of progress and who has not travelled to no purpose. But if all his efforts are turned to the study of books, if on this he spends his labour, and for this has gone abroad, then I bid him go straight home and not neglect what he finds there; for this that he has gone abroad for is nothing; his true work is to study to remove from his life mourning and lamentation, the 'ah me' and 'alas for my misery', the talk of 'bad fortune' and 'misfortune'; and to learn, what is death, what is exile, what is imprisonment, what is the cup of hemlock; that he may be able to say in prison, 'My dear Crito, if it pleases the gods, so be it', and not such words as 'miserable old man that I am, is it for this I kept my grey hairs?' (Plato, Crito, 43d) Whose words are they? Do you think I shall name to you a mean man of no reputation? Are they not the words of Priam and of Oedipus? Are they not the words of all kings that are? For what else are tragedies but a portrayal in such metrical form of the sufferings of men who have set their admiration on outward things? If delusion after all were the only means for a man to learn this lesson—the lesson that not one of the things beyond the compass of our will concerns us, then I for my part would choose a delusion such as this, if it should procure me a life of undisturbed tranquillity; I leave it to you to see what you choose. What then does Chrysippus offer us? O great good fortune! O great benefactor, who shows us the way! And yet—though all men have raised temples and altars to Triptolemus, for teaching us the cultivation of the crops, yet what man of you ever set up an altar in honour of him who found the truth and brought it to light and published it among all men—not the truth of mere living, but the truth that leads to right living? Who ever dedicated a shrine or an image for this gift, or worships God for it? I say shall we, who offer sacrifices because the gods gave us wheat or the vine, never give thanks to God that they produced this manner of fruit in the mind of men, whereby they were to show us the true way of happiness? If a man, says Epictetus, objects to what is manifestly clear, it is not easy to find an argument against him, whereby one shall change his mind. And this is not because of his power, nor because of the weakness of him that is instructing him; but, when a man, worsted in argument, becomes hardened like a stone, how can one reason with him any more? Now there are two ways in which a man may be thus hardened: one when his reasoning faculty is petrified, and the other when his moral sense is petrified, and he sets himself deliberately not to assent to manifest arguments, and not to abandon what conflicts with them. Now most of us fear the deadening of the body and would take all possible means to avoid such a calamity, yet we take no heed of the deadening of the mind and the spirit. When the mind itself is in such a state that a man can follow nothing and understand nothing, we do indeed think that he is in a bad condition; yet, if a man's sense of shame and self-respect is deadened, we even go so far as to call him 'a strong man'. Do you comprehend that you are awake? Is there no difference then between the one sort of impression and the other? Can I argue with him any longer? What fire or sword, I say, am I to bring to bear on him, to prove that his mind is deadened? He has sensation and pretends that he has not; he is worse than the dead. One man does not see the battle; he is ill off. This other sees it but stirs not, nor advances; his state is still more wretched. His sense of shame and self-respect is cut out of him, and his reasoning faculty, though not cut away, is brutalized. Am I to call this 'strength'? Heaven forbid, unless I call it 'strength' in those who sin against nature, that makes them do and say in public whatever occurs to their fancy. Each single thing that comes into being in the universe affords a ready ground for praising Providence, if one possesses these two qualities—a power to see clearly the circumstances of each, and the spirit of gratitude therewith. Without these, one man will fail to see the usefulness of nature's products and another though he see it will not give thanks for them. If God had created colours and, in general, all visible things, but had not created a faculty to behold them, of what use would they be? None at all. If on the other hand He had created this faculty, but had not created objects of such a nature as to fall under the faculty of vision, even so of what use would it be? None at all. If again He had created both these, and had not created light, even so there would be no use in them. Who is it then that has adapted this to that, and that to this? Who is it that has fitted the sword to the scabbard and the scabbard to the sword? Is there no one? Surely the very structure of such finished products leads us commonly to infer that they must be the work of some craftsman, and are not constructed at random. Are we to say then that each of these products points to the craftsman, but that things visible and vision and light do not? Do not male and female and the desire of union and the power to use the organs adapted for it—do not these point to the craftsman? But if these things are so, then the fact that the intellect is so framed that we are not merely the passive subjects of sensations, but select and subtract from them and add to them, and by this means construct particular objects, nay more, that we pass from them to others which are not in mere juxtaposition—I say are not these facts sufficient to rouse men's attention and to deter them from leaving out the craftsman? If it be not so, let them explain to us what it is which makes each of these things, or how it is possible that objects so marvellously designed should have come into being by chance and at random? Again, are these faculties found in us alone? Many in us alone—faculties which the rational creature had special need of—but many you will find that we share with irrational creatures. Do they also then understand events and things? No—for using is one thing, and understanding is another. God had need of them as creatures dealing with impressions, and of us as dealing with them and understanding them as well. That is why it is enough for them to eat and drink and rest and breed, and every function is theirs which each irrational creature fulfils; while we, to whom He gave also the power of understanding, cannot be satisfied with these functions, but, unless we act with method and order and consistently with our respective natures and constitutions, we shall no longer attain to our end. For those whose constitutions are different have also different functions and different ends. Therefore that which by constitution is capable only of using things, is satisfied to use them anyhow; but that which by constitution is capable of understanding things as well as using them, will never attain its end, unless to use it adds method also. What is my conclusion? God makes one animal for eating, and another for service in farming, another to produce cheese, and others for different uses of a like nature, for which there is no need of understanding impressions and being able to distinguish them; but He brought man into the world to take cognizance of Himself and His works, and not only to take cognizance but also to interpret them. Therefore it is beneath man's dignity to begin and to end where the irrational creatures do: he must rather begin where they do and end where nature has ended in forming us; and nature ends in contemplation and understanding and a way of life in harmony with nature. See to it then that ye do not die without taking cognizance of these things. You travel to Olympia, that you may see the work of Phidias, and each of you thinks it a misfortune to die without visiting these sights, and will you have no desire to behold and to comprehend those things for which there is no need of travel, in the presence of which you stand here and now, each one of you? Will you not realize then who you are and to what end you are born and what that is which you have received the power to see? Are there none such at Olympia? Are you not scorched with heat? Are you not cramped for room? Is not washing difficult? Are you not wet through when it is wet? Do you not get your fill of noise and clamour and other annoyances? Yet I fancy that when you set against all these hardships the magnificence of the spectacle you bear them and put up with them. And have you not received faculties, which will enable you to bear all that happens to you? Have you not received greatness of spirit? Have you not received courage? Have you not received endurance? If I am of a great spirit what concern have I in what may happen? What shall shake me or confound me or seem painful to me? Instead of using my faculty for the purpose for which I have received it, am I to mourn and lament at the events of fortune? Slave! What have you hands for then? Is it not to wipe your rheum away? Well, how much better it is to wipe your rheum away than to complain! What do you think would have become of Heracles if there had not been a lion, as in the story, and a hydra and a stag and a boar and unjust and brutal men, whom he drove forth and cleansed the world of them? What would he have done, if there had been nothing of this sort? Is it not plain that he would have wrapped himself up and slept? Nay to begin with he would never have been a Heracles at all, had he slumbered all this life in such ease and luxury; and if by any chance he had been, of what good would he have been? What use would he have made of his arms and his might and his endurance and noble heart as well, had not he been stimulated and trained by such perils and opportunities? That were madness and folly; but as they had come into being and were found in the world these monsters were of service to display Heracles’ powers and to train them. It is for you then, when you realize this, to look to the faculties you possess, and considering them to say, 'Zeus, send me what trial Thou wilt; for I have endowments and resources, given me by Thee, to bring myself honour through what befalls.' Nay, instead, you sit trembling for fear of what may happen, or lamenting, mourning, and groaning for what does happen, and then you reproach the gods. What else but impiety indeed can attend upon so ignoble a spirit as yours? And yet God not only gave us these faculties, which will enable us to bear all the issue of events without being humiliated or broken down by it, but, as became a good king and a true father, He gave us this gift free from all let or hindrance or compulsion—nay, He put it wholly in our hands, not even leaving Himself any power to let or hinder us. Yet possessing these powers in freedom for your own you refuse to use them and will not realize what gifts you have received and from whose hand, but you sit mourning and grieving, some of you blinded to the giver Himself and refusing to recognize your benefactor, and some from meanness of spirit turning to reproaches and complaints against God. Yet I will show you that you have resources and endowment to fit you for a noble and courageous spirit: show me, if you can, what endowments you have for complaining and reproach. Most men ignore the fact that the treatment of variable premisses and hypothetical arguments and again of syllogisms that conclude by way of question, and, in a word, of all such arguments is concerned with conduct. For really, whatever subject we are dealing with, our aim is to find how the good man may fitly deal with it and fitly behave towards it. It follows then that either they must say that the virtuous man will not condescend to question and answer, or that if he does he will take no care to avoid behaving lightly and at random in questioning and answering; or else, if they accept neither alternative, they must admit that we have to investigate those subjects round which question and answer chiefly turn. For what do we promise in a discussion? To establish what is true, to remove what is false, to withhold assent in what is uncertain. Is it enough then merely to learn that this is so? What then must you acquire besides? Surely you must have a faculty to test and distinguish genuine drachmas from spurious. Is it not true . then in regard to argument also that merely to hear what is said is not enough; a man must acquire the faculty to test and distinguish the true from the false and the uncertain? This being so, what is required in argument? Here again, is it enough merely to know this? No, you must learn how a conclusion follows from the premisses, and how sometimes one proposition follows from one other, and sometimes from many together. May we say then that this faculty too must be acquired by him who is to behave with good sense in discussion, and who is himself to prove each point in his demonstration and to follow the demonstrations of others, and to avoid being led astray by sophistical arguments, posing as demonstrations? Thus it comes about that we are led to think it really necessary to discuss and to practise the arguments and moods which are conclusive. But note this: there are cases where we have granted the premisses properly, and such and such a conclusion follows which, though it follows, is none the less false. What then is it fitting for me to do? Must I accept the false conclusion? How can I do that? Must I say I was wrong in granting the premisses? That it does not follow from the premisses granted? What then is one to do in these circumstances? May we not say that just as in order to be in debt it is not enough merely to borrow, but one must remain a borrower and not have paid off the loan, so in order to be bound to admit an inference it is not enough to have granted the premisses, but one must abide by having granted them? In a word, if they remain to the end as we granted them, we are absolutely bound to remain by our concessions and accept what follows the premisses; if, on the other hand, they do not remain as they were granted, we are also absolutely bound to abandon the concession and no longer to accept what is inconsistent with the premisses; for since we have abandoned our agreement as to the premisses, this inference which is drawn no longer concerns us or touches us. We must then examine into premisses of this sort and into such changes and alterations in them, by which they are changed in the actual process of question or answer or syllogism or the like, and so afford occasion to the foolish to be troubled because they do not see the sequence of the argument. Why must we do so? That in this sphere we may do what is fitting by avoiding what is random or confused in argument. And we ought to do the same with hypotheses and hypothetical arguments. For it is necessary sometimes to assume a hypothesis as a step to the next argument. Must we then concede every given hypothesis or not? And if not every one, which? And, having conceded it, must we abide by it once for all and maintain it, or are we sometimes to abandon it, and are we to accept what follows from it and reject what conflicts with it? Will the prudent man refuse to meet him in argument, and avoid examination and discussion with him? Nay, it is just the prudent man who is capable of reasoning logically and who is expert at questioning and answering, yes and who is proof against deception and sophistry. Will he then consent to argue, but take no pains to avoid being careless and casual in argument? If so, will he not cease to be the man we consider him to be? But without some such training and preparation as I suggest can he guard the sequence of his argument? Let them show that he can, and then all these speculations are idle; they were absurd and inconsistent with the conception we have formed of the good man. Why do we persist in being lazy and indolent and sluggish, why do we seek excuses to enable us to avoid toiling early and late to perfect ourselves in logical theory? You are not going to tell me, are you, that setting fire to the Capitol and killing one's father are the only forms of wrongdoing? To deal with one's impressions without thought or method, to fail to follow argument or demonstration or sophism, in a word, to be unable to see what concerns himself and what does not in question and answer—is there no wrongdoing, I ask, in any of these? Just as it is possible to interchange terms which are equivalent to one another, so and in just as many ways it is allowable to vary in argument the types of disputative argument and enthymeme. Take for instance this kind of argument: 'If you borrowed and did not repay, you owe me the money. You did not borrow without repaying; therefore you do not owe me the money.' And the philosopher above all others is the proper person to handle such arguments with skill. For if enthymeme is imperfect syllogism, plainly he who is trained in perfect syllogism would be equally capable in dealing with imperfect. Why then, you ask, do we not train ourselves and one another in this style of argument? Because even now, though we do not devote our-selves to training in these matters and though we are not drawn away, so far as I have any influence, from cultivating character, nevertheless we make no advance towards goodness. What should we have to expect then, if we should add this business to our other employments? And there is more—not only should we have less leisure for more necessary things, but we should give uncommon occasion for conceit and vanity. For the faculty of disputative and plausible reasoning is a powerful one, especially if it should be developed by training and gain further dignity from mastery of language. For indeed generally every faculty is dangerous when it comes into the hands of those who are without education and without real force, for it tends to exalt and puff them up. For how would it be possible to persuade the young man who excels in these arguments that he ought not to become dependent upon them, but to make them depend upon him? Instead of this he tramples under foot all we say to him and walks among us in a high state of elation, so puffed up that he cannot bear that any one should remind him how far he has fallen short and into what errors he has lapsed. I reply, Was not Hippocrates a physician? But you see how eloquent Hippocrates was. Was Hippocrates so eloquent by virtue of being a physician? Why then do you mix qualities, which are casually united in the same persons? Suppose Plato was handsome and strong; ought I also to set to and strive to become handsome or strong, as though this were necessary for philosophy, just because one philosopher was handsome as well? Will you not have the discernment to see what makes men philosophers and what qualities are accidental in them? Suppose now I were a philosopher, ought you to become lame? You ask me, do I then count these faculties as of no effect? Heaven forbid! no more than I ignore the faculty of vision. Nevertheless if you ask me what is the true good of man, I can only say to you that it lies in a certain disposition of the will. If these statements of the philosophers are true, that God and men are akin, there is but one course open to men, to do as Socrates did: never to reply to one who asks his country, 'I am an Athenian', or 'I am a Corinthian', but 'I am a citizen of the universe.' For why do you say that you are an Athenian, instead of merely a native of the little spot on which your bit of a body was cast forth at birth? Plainly you call yourself Athenian or Corinthian after that more sovereign region which includes not only the very spot where you were born, and all your household, but also generally that region from which the race of your forbears has come down to you. When a man therefore has learnt to understand the government of the universe and has realized that there is nothing so great or sovereign or all-inclusive as this frame of things wherein men and God are united, and that from it come the seeds from which are sprung not only my own father or grandfather, but all things that are begotten and that grow upon earth, and rational creatures in particular —for these alone are by nature fitted to share in the society of God, being connected with Him by the bond of reason—why should he not call himself a citizen of the universe and a son of God? Why should he fear anything that can happen to him among men? When kinship with Caesar or any other of those who are powerful in Rome is sufficient to make men live in security, above all scorn and free from every fear, shall not the fact that we have God as maker and father and kinsman relieve us from pains and fears? 'And where am I to find food to eat, if I have nothing?' says one. Well, what do slaves do when they leave their masters, or what do they rely on? Do they rely on fields, or servants, or silver plate? No, on nothing but themselves; nevertheless sustenance does not fail them. And shall our philosopher in his wanderings have to rest his confidence in others, instead of taking care of himself? Is he to be baser and more cowardly than the unreasoning beasts? For each one of them is content with itself, and lacks not its proper sustenance nor the way of life that is naturally suited to it. I think that the old man who sits here to teach you ought to devote his skill not to save you from being low-minded, and from reasoning about yourselves in a low and ignoble spirit, but rather to prevent young men from arising of the type who, discovering their kinship with the gods, and seeing that we have these fetters attached to us in the shape of the body and its possessions and all that we find necessary for the course and management of our life by reason of the body, may desire to fling all these away as vexatious and useless burdens and so depart to the gods their kindred.